This book is free with the purchase of any book. 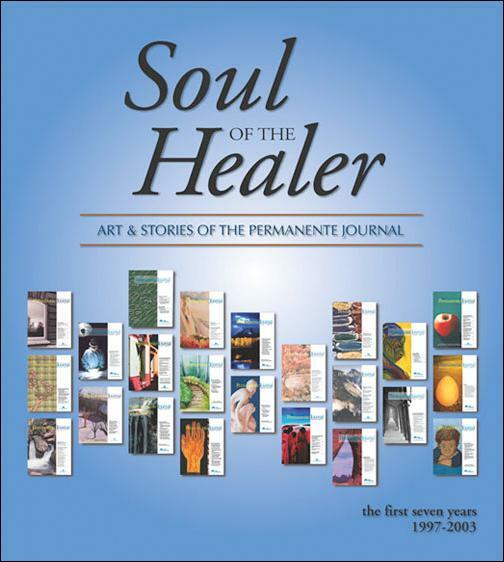 A full-color collection of the art: paintings, photographs, sculptures, etc, and writings: poetry, short stories, and essays, of the Soul of the Healer section of The Permanente Journal. Inspired by our reader's comments and high rating of the "Soul of the Healer" section of The Permanente Journal, we created this book to bring together the art and stories they remark are so beautiful and uplifting. This Soul of the Healer book is organized chronologically from the first issue in Summer 1997 to the Fall 2003 issue. Selected pieces are grouped together by issue. Contributors biographies accompany their work, so you get to know them and hear their voices. The written pieces have also been indexed in the Table of Contents by theme. This softbound 150-page book brings together in one volume the creative contributions of Permanente clinicians from the first seven years of publication. Each of my sculptures represents a patient or colleague ... These sculptures help me remember that I am treating people, not simply bones, joints, or X-rays. I love the creative process in many mediums, but plastic surgery is where the culmination of my disparate interests and talents allow their best and most important expression. Photography appeals to me for the same reason I enjoy medicine ... Photography forces me to look more carefully, to see more clearly, to search for patterns and contrasting elements .. all of which I practice every time I examine a patient.